Bolton digital marketing agency Bring Digital has appointed a client strategy director. 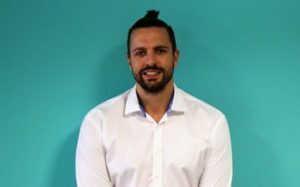 Oli Hopkinson joins from Manchester agency Vizeum and has previously worked with the likes of Virgin Active, Lloyds Pharmacy, Matalan, Freemans Grattan Holdings and Irish Ferries. Bring, which it says is on target for a record year of turnover, has recently picked up several new client wins including Get the label, Money Advisor, Flavour Boss and an extension of its contract with Ann Summers. Launched in 2012, Bring has now grown to 30 members of staff and is targeting a £2million turnover in 2017 with a gross profit of £400,000.